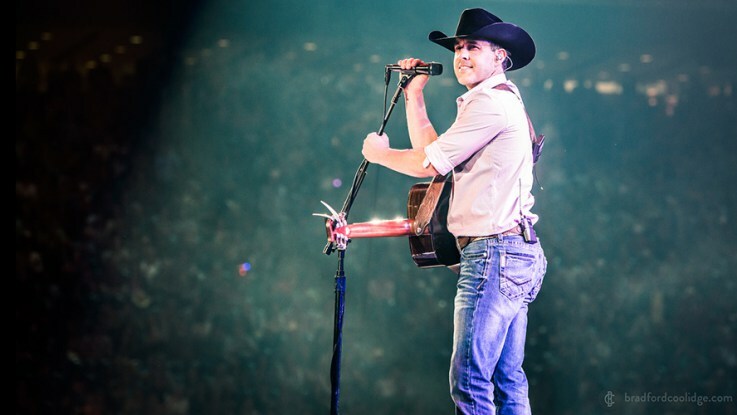 Nashville, TN — Aaron Watson "Live at the World’s Biggest Rodeo Show," the “pioneering independent’s” (Cowboys & Indians) 14th album and his first live album in nearly a decade, is set to release on August 24, 2018, marking the one year anniversary of Hurricane Harvey's landfall on the south Texas coast (August 25, 2017). The Category 4 storm caused $125 billion in damage according to the National Hurricane Center and impacted 13 million people in 41 Texas counties. $1.41 from each album sold will benefit the Rebuild Texas Fund, in recognition of the widespread devastation across Watson’s beloved home state. Recorded live in front of 65,000 fans on opening night of the 2017 Rodeo Houston, the album is particularly poignant to the Texas born-and-bred singer/songwriter. Learn more at AaronWatson.com.